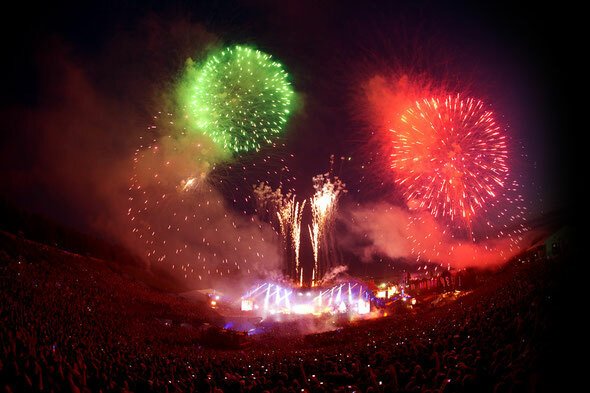 Now in its eight year, one of the biggest success stories of 2011, ID&T’s Tomorrowland festival, returns to the stunning De Schorre National Park in Belgium on the 27th July 2012. Back once more for another three-day bonanza, the event has just announced the return of Swedish DJ/producer Avicii, who headlined the main stage on the Saturday in 2011. With a line-up that already includes David Guetta, Calvin Harris, Fatboy Slim, Carl Cox, Alesso, Jamie Jones and John Digweed, this is another huge act to add to the festival’s roster. Avicii, who is nearing the end of his House for Hunger charity tour, should ensure another sell-out event, which last year saw visitors from over 50 countries worldwide and this year has a capacity of 180,000 over the three days. Ticket info will be released in February, with the tickets going on sale in April. Be quick though!